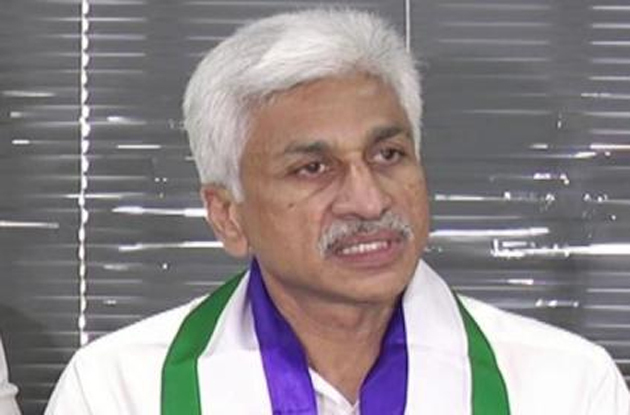 Vijay Sai Reddy stressed the need for CBI Probe over the irregularities in the Tirumala Tirupati Devasthanams (TTD). He seems to be pretty sure about the looting of Tirumala Balaji by Chandrababu & Co. The Rajya Sabha MP challenged: 'If Chandrababu Naidu attains clean chit from CBI, I would quit Politics'. Over the years, TTD has become like a den for Leaders who have been inefficient in active politics. Governments kept treating it more like a source of income. Allegations regarding diversion/misuse of funds kept increasing in the recent years. Ramana Dhikshitulu hasn't spoken about the irregularities until his ouster as TTD Head Priest. He accused TTD Officials of conducting secret searches in the Potu. Surprisingly, State Government hasn't even ordered for an inquiry on the serious allegations. When allegations were made against Jagan after the murder of TDP Leader Paritala Ravi, Then CM YSR himself sought a CBI Probe. Whereas, Chandrababu made it clear there won't be any inquiry over the TTD Controversy. On the notices sent to him by TTD, Vijay Sai Reddy reacted: 'Pappu Naiduâ€¦Nippu Naidu Thataku Chappullaku Bayapadedhi Ledu. TTD can contact me for information, but it doesn't have to send notices to Me. If Babu & Chinnababu stand in the court room as accused, I am ready to appear as witness of their wrong doings'. The confidence shown by Vijay Sai Reddy gives a feeling that there could have been a scam. If there is nothing to hide, why would TDP ignore the opportunity to make YCP No.2 take political sanyas?